This is the perfect kit for bringing more light into homes without adding height to buildings. Our aluminium flat, fixed rooflights are ideal for both home renovations and retrofitting rooflights in commercial buildings. Designed by aluminium experts, the flat rooflight is straightforward and simple to fit, and delivered in just one day, saving installers time on site. The rooflight offers fantastic thermal performance and a beautiful architectural finish that homeowners are demanding from their aluminium glazing. The flat rooflight not only offers fast delivery and an easy installation for fitters and builders, it has been designed to look stunning too. It’s the perfect choice for bringing extra light into rooms, whether it’s in a self-build project, a new build development or a property extension or renovation. The minimalist design creates the look and feel of a roof that’s open to the sky. It offers clean, contemporary design without adding height to buildings. It’s also ideal for replacing old, inefficient skylights in commercial properties. Flat rooflights are available with double or triple glazing, with fully bonded units to offer extra strength and superior weather performance with minimal frame visibility. The bonded-in units create rooflights with a completely flush finish that look beautiful and offer fantastic energy efficiency. 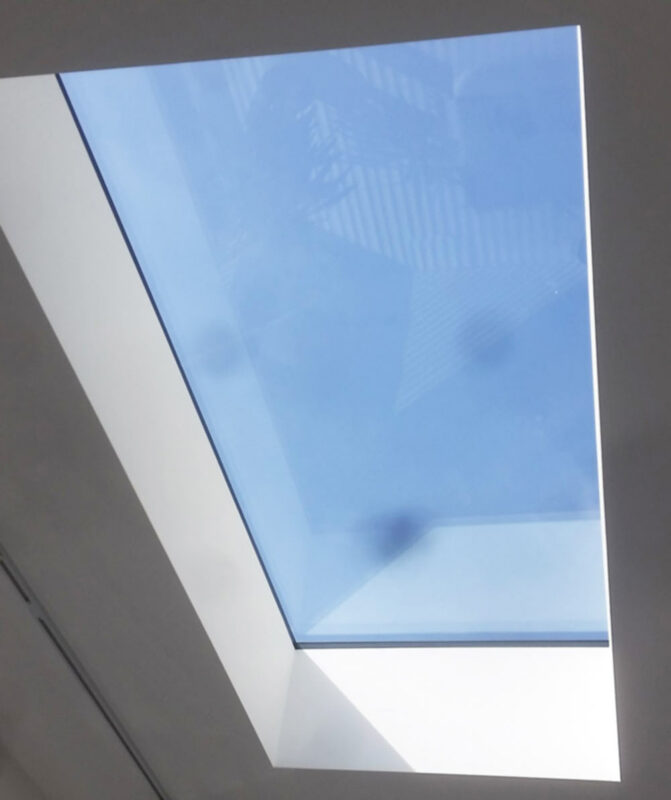 Whether you’re an installer, architect or contractor, our flat rooflight offers the best of aluminium glazing design to any project.